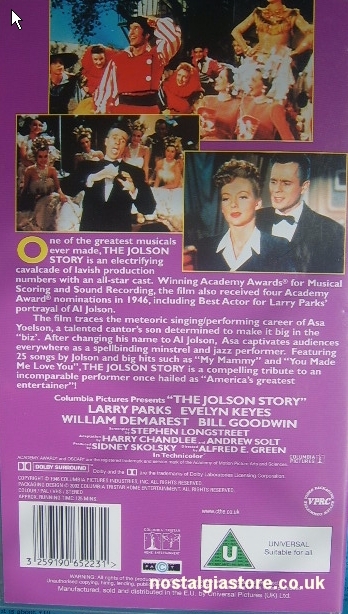 The Al Jolson Story [VHS]  ~ One of the greatest musicals ever made, The Jolson Story is an electrifying cavalcade of lavish production numbers with an all star cast. 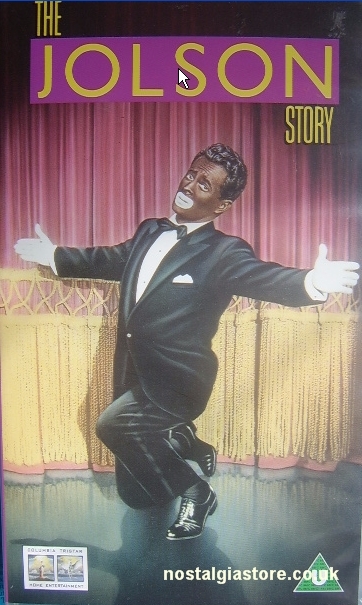 Winning Academy Awards for musical scoring and sound recording, the film also received four Academy Award Nominations in 1964, including Best Actor for Larry Parks' portrayal of AL Jolson. The film traces the meteoric career of Asa Yoelson, a talented cantor's son determined to make it big in the "biz". After changing his name to AL Jolson, Asa captives audiences everywhere as a spellbinding minstrel and jazz performer.Featuring 25 songs by Jolson and big hits such as "My Mammy" and "You Made Me Love You", The Jolson Story is a compelling tribute to an incomparable performer once hailed as "America's Greatest Entertainer".